Adjustable lower blades guarantee cuts without burrs. 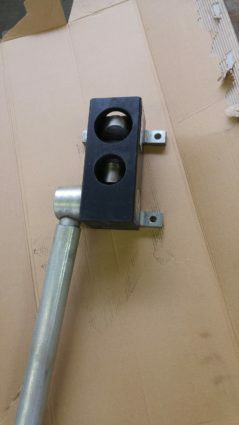 Notches as large as 100 x 100mm, in 3 mm mild steel, can be cut in one operation. Gauges are suitable for straight and mitre cutting. The special design of the blades, the point of which first touches the sheet, has the following advantages. 1. 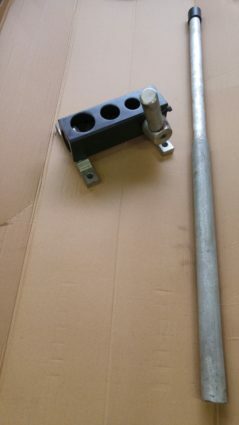 The sheet is kept in place and cannot move. 2. When cutting small notches, the handle has to make a small stroke. 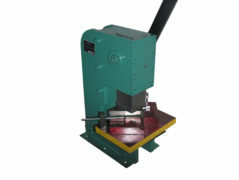 Our Punch notcher has been designed to be used on press brakes, cam presses, stamping presses etc. without any need to be locked and guarantee a perfect performance even when they are not perfectly centred with reference to shoulder. The body is of high quality modular SG iron, whilst the proper steel slides allow the perfect alignment of the tools. 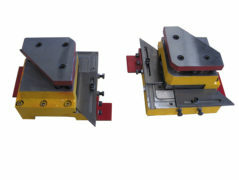 Once the notch has been made the upper tool carrier automatically returns to place by means of springs.